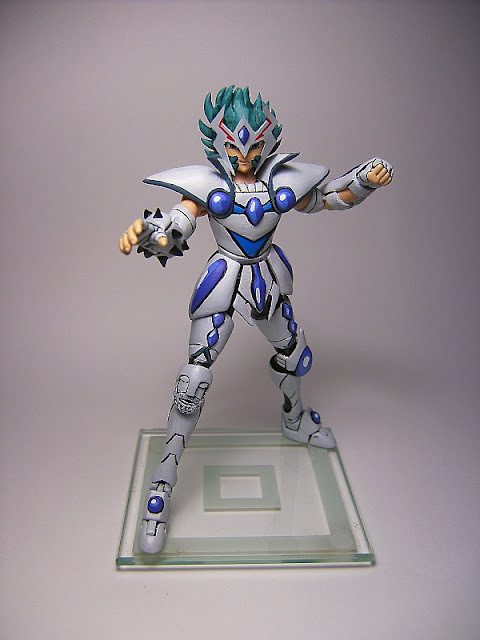 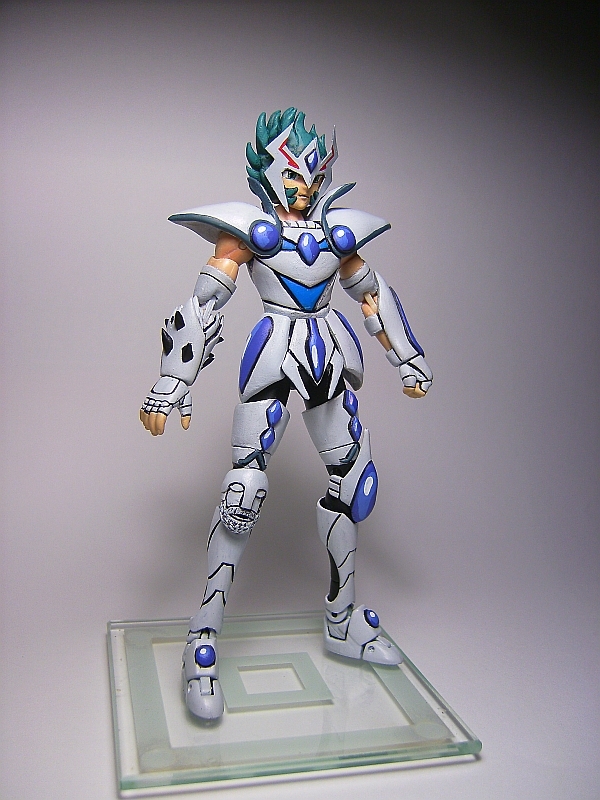 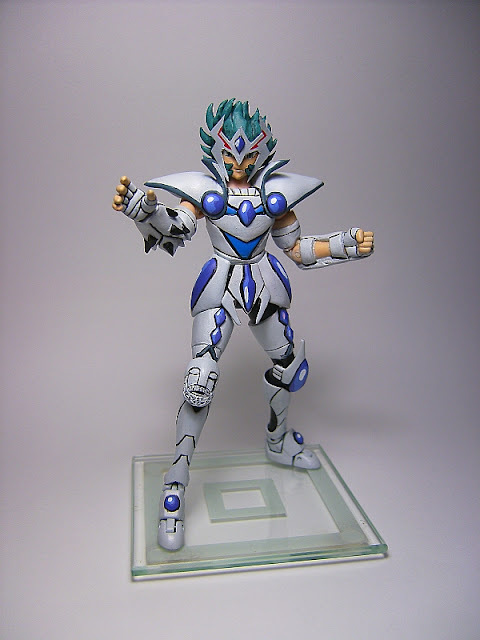 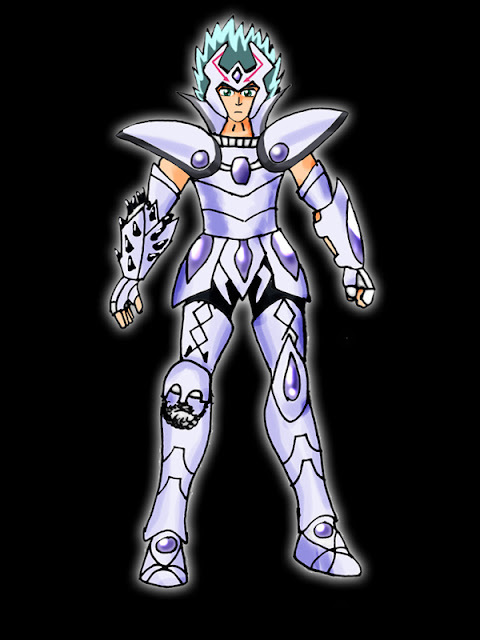 This is Eden Orion, from the new anime series of Saint Seiya Omega. 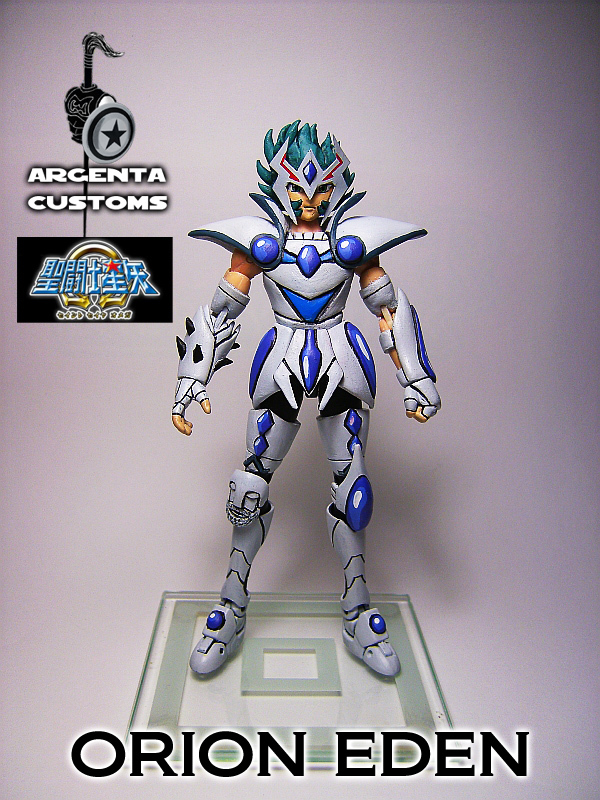 I made this custom even before the design of the character was fully shown, I made it from the promotional pic where only half of his body could be seen, so I designed the rest myself basing on the constellation and the armour of the previous Orion Saint (that appeared in a OVA). 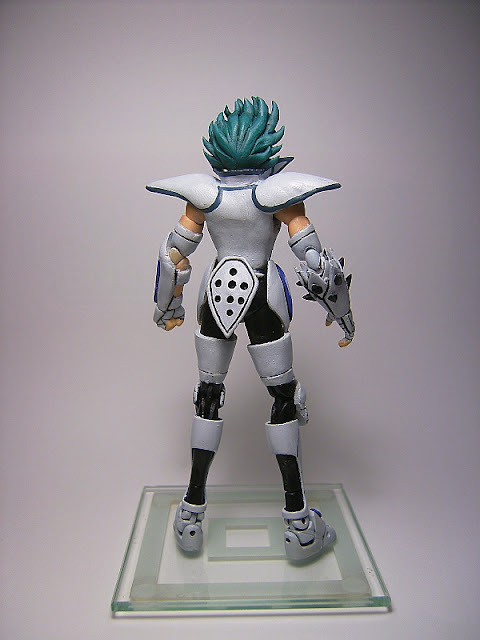 In this occasion, all armour except the leg protection was sculpted. 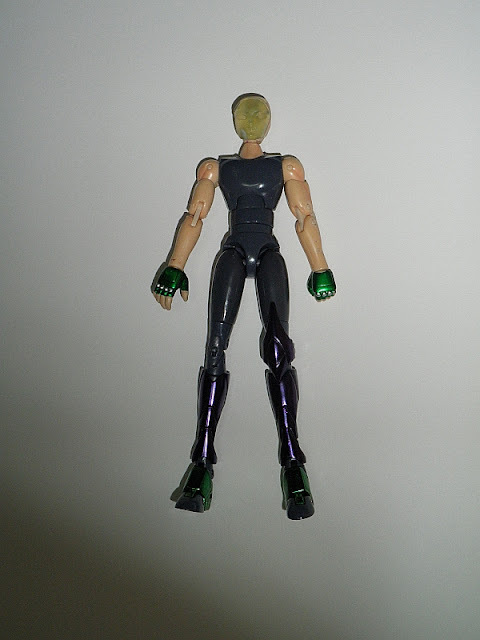 The head was casted from Afrodita Piscis. The body and hands are from Shiryu Dragon. 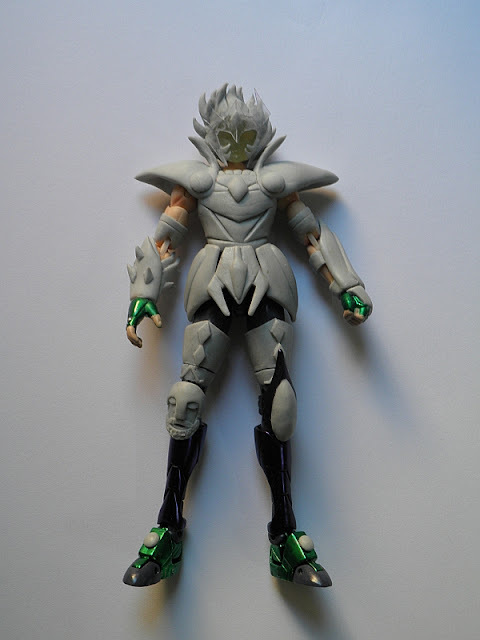 I made specially this custom for a Saint Seiya fan magazine, to show the technique of printing the eyes in a decal to get more perfection.